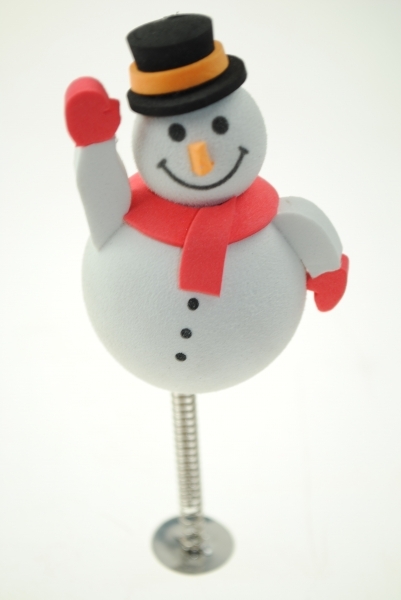 Aerial ball shaped like a Snowman with a smily face and cheerfully waving. Made out off a soft foam material. Comes complete with a self adhesive spring mounting for the dash board too. Very festive .8x5.5cm . Buy all 5 and save.